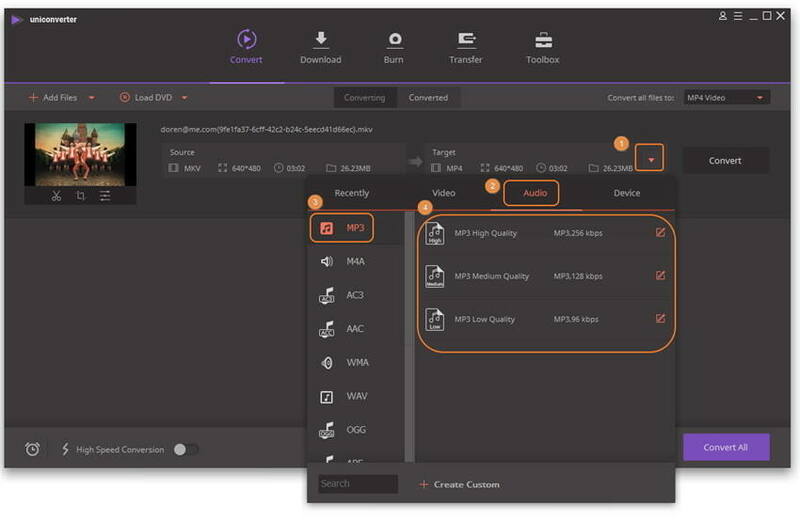 MKV is an open Standard free container format that stores various audio and video formats in a single file which leads to the improper execution of the process by many devices. But unfortunately, it is a completely new file format that many devices can't directly stream MKV video. MP3, on the other hand, is one of the most widely-used format that almost any device supports it. Then it makes sense why people consider converting MKV to MP3 for simple playback anywhere. To come up with the demands, we are going to discuss 3 common ways related to MP3 extraction from MKV through this article. To convert MKV videos to MP3 for your convenience, you must be careful not to destroy their video or audio quality, which calls for a professional video conveter tool. Then Wondershare UniConverter (originally Wondershare Video Converter Ultimate) requires your attention, ensuring the original quality after video convertion and providing other additional functions like editing video, burning DVD, streaming video to any external device. Extract MP3 from 1000+ formats, including MKV, MOV, MP4, AVI, etc. Now let’s learn how Wondershare MKV to MP3 Converter extracts MP3 audio from MKV step by step. Before getting started, you can watch the following video tutorial to get a generally idea of how MKV to MP3 conversion proceeds. 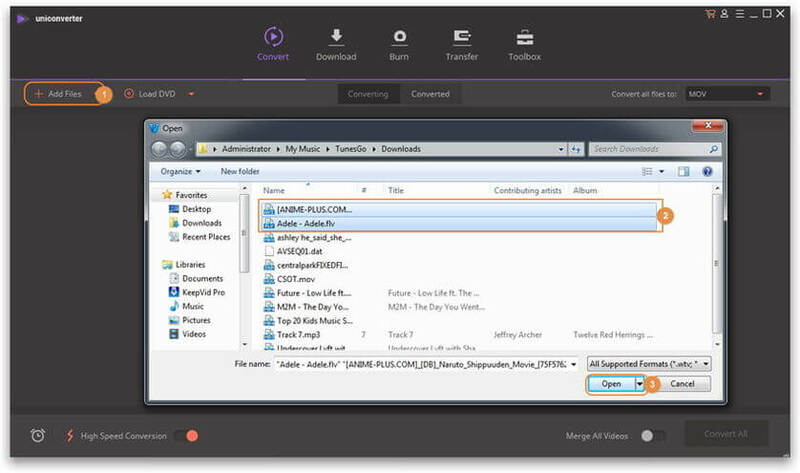 Open Wondershare MKV to MP3 converter on your PC, click + Add Files to import your target MKV video to the program's interface. To convert MKV to MP3 audio, you need to choose Audio > MP3 > Specific Quality from the drop-down list of Target section in the right of the program. 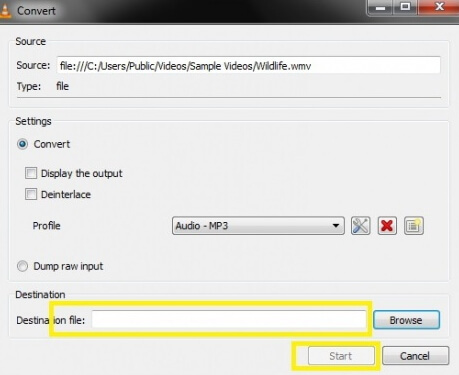 Click the Convert button to initiate MKV to MP3 conversion. After a few seconds, you can swich to the Converted tab to get the extracted MP3 file once the MKV to MP3 conversion completes. The most popular media player, VLC player can also be used to convert MKV to MP3 convert. The steps for the conversion are as follows. Step 1 Run VLC player and select Media > Convert/Save from the main menu. 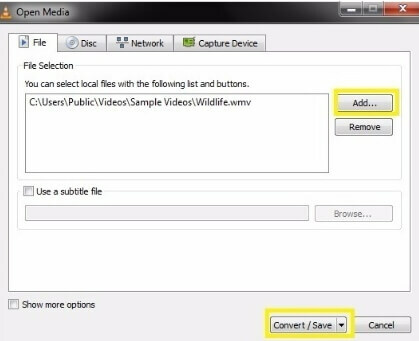 Step 2 Click Add option to import MKV files to VLC, then click Convert/Save button to proceed. Step 3 Click on the hint button which has the caption Edit selected profile and leave MP3 selected on the Encapsulation tab, click Save to proceed. Note: Check both Video and Keep Original Video Track on the Video tab and the same goes for Audio, tap Audio and Keep Original Audio Track. Step 4 Then speficy the file folder where you want to save the converted .mp3 file in the Destination file tab and click Start to begin MKV to MP3 conversion. Keep your eye on the progress bar as the MKV to MP3 conversion is executed. Once finished, you'll get your desired MKV video files in .mp3 format. There are some free websites that help to convert MKV files directly onto MP3 online, which help to kill the lengthy process of software installation followed by file installation. They are used for MKV to mp3 online conversion. One good online conversion site I know is Zamzar. These are all you need to know about the three different methods for the conversion of MKV to MP4. But follow the steps carefully to get the best results.